Comfort Services, Inc. has a team of licensed HVAC technicians with the tools and knowledge to help keep your home or business cool and comfortable during the hot summer months. We provide expert, fast-response air conditioning repairs for homeowners in Southern Pines, Aberdeen, Pinehurst and nearby areas of North Carolina. Contact us today for an estimate! Comfort Services, Inc. has an experienced team of licensed and certified technicians to perform all repairs on your air conditioning system. Ignoring any problems with your system, and not performing necessary air conditioning maintenance, can cost you more money in the long run, shorten the lifespan of your cooling system, and can mean having to replace your system sooner. Don't ignore the signs of an air conditioning problem. 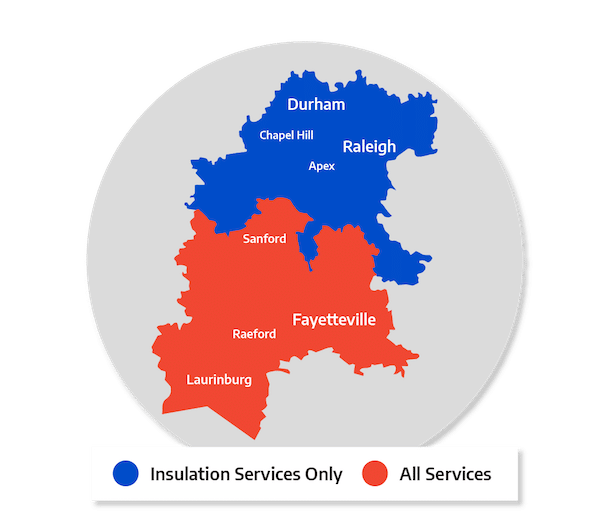 Call your local air conditioning contractor today at 1-855-800-2275 or contact us online to schedule an AC inspection in Pinehurst, Southern Pines, Aberdeen, Chapel Hill, Garner, Apex, Durham, Fuquay Varina, Fort Bragg, Fayetteville and nearby.